This darling little blue dotted cotton blend dress is made by Sarah Louise, a top British designer of beautiful baby garments. 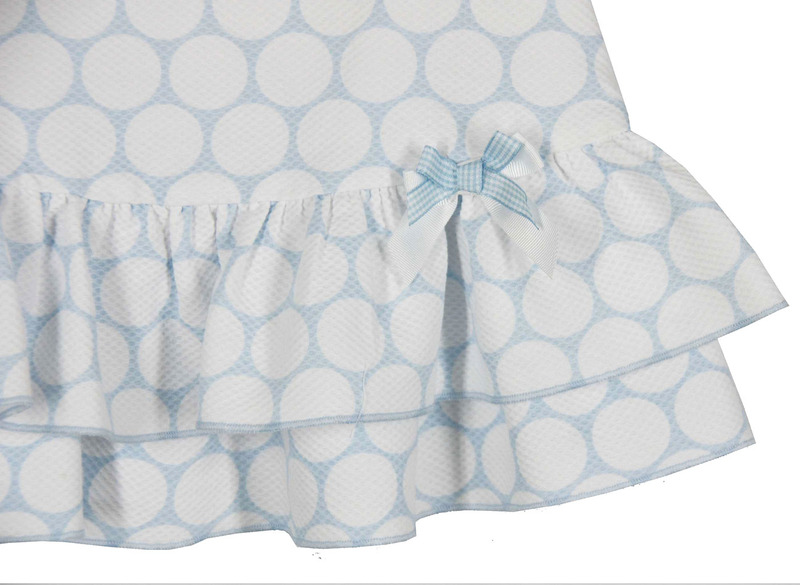 The A line style features a round yoke and a double ruffled hem accented with blue checked bows. A back buttoned closure makes dressing easy. 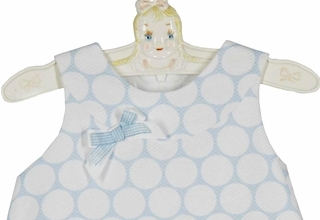 The perfect summer style for your baby or toddler girl!